The Low Down: Rose and Lissa, a mortal vampire, have been caught. On the run for two years, they are returned summarily to St. Vladimir’s Academy where they go to school. Why they left is the mystery that slowly unfolds in this tale of Moroi royalty, their Dhampir protectors, and the dangerous Strigoi, the immortal vampires. Is the very school that is supposed to protect them – not? Rose is Lissa’s protector. Though still only a student, she is certain that once she graduates, she will be assigned to her best friend. Rose is the only one who knows of Lissa’s ability to heal. Then dead animals cross Lissa’s path, and since she is tied to the earth, she feels bound to save them. But to what cost? Will she lose her mind? Lissa used to be part of the popular crowd – the royalty and their hangers-on. She decides to rejoin the group to see if she can learn anything out about these dead animals and who is doing this to her. What most don’t know is in addition to being able to heal, she can also use compulsion on people to get them to do what she wants. What did crazy Mrs. Karp mean about Lissa needing to keep everything a secret and to trust no one? Is jealous mean girl Mia behind the attacks? Does the mysterious and shunned Christian really care about Lissa? And what is up with Dimitri, her trainer and mentor? She can’t stop thinking about him. And she thinks he may think of her, too. Best Thang ‘Bout It: This book had just the right balance of dark and romance. The main characters, and just as importantly, the secondary characters, are very well developed. The mystery was well-crafted and the identity of the villain was a surprise. Rose is confident, a bad-girl-with-a-conscience who would fiercely protect Lissa no matter what. Rose’s bravado, though, seems to be a little bit of a front. They have a special connection that allows Rose to know if Lissa is ever in danger. Lissa is less interesting, but has many compelling issues as well. I’m Cranky Because: There was almost too much hate for Rose by the students. Also, I didn’t completely understand the hierarchy. I’m not big on class separation, either. Very small complaints, all. Lastly – it may be a little confusing at the beginning, like you are missing some prior chapters, but that is the intention. There’s more than one mystery in these pages. Should You? : If you need a new twist on vampires, where there are not one but two kinds, good and bad, then put down that run-of-the-mill tale and pick this up. 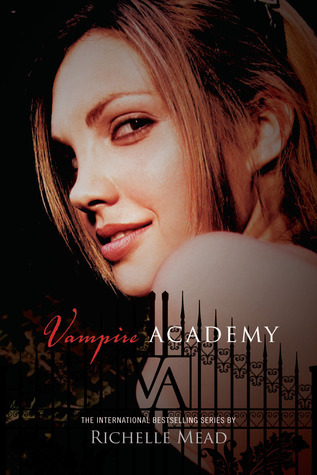 Vampire Academy by Richelle Mead was published on August 16, 2007 by Razorbill. great review, this is on my someday read list. Oooh.. great review! I really love this series, have read them all twice. It gets way better, and the story continues to unravel in the next books. So much fun! Good, I am going to read the next ones. I did like the series so far, so good to know it gets even better.